One option for the serious turtle keeper is to construct an outdoor turtle pen. This project is most satisfying in areas where climate allows the turtles to be kept outside permanently; in most areas of the country winter conditions necessitate bringing the turtles inside during cold weather. If you keep turtles native to your area, however, they can hibernate naturally right inside their pen. The pen should be as large as practical, and should contain a variety of microhabitats–areas of shade as well as areas of sun. It is very important that the turtle pen have at least some areas of shade at all times during the day, as unprotected tortoises can overheat quickly in a full midday sun. At the same time, basking spots must always be available. The turtles should be able to thermoregulate by moving from sun to shade as needed. Several large, flat rocks can serve as basking spots and as heat retainers. You will also need some rock caves where the turtles can retreat for shade and whenever they need to feel secure. If the bulk of the pen area is left in its natural state, with several inches of soil, some leaf litter and vegetation, the turtles will spend most of their time happily digging and foraging for invertebrates and edible plants. Make sure there are no toxic plants anywhere in the enclosure. A colony of aquatic turtles can be kept outside in an artificial pond. 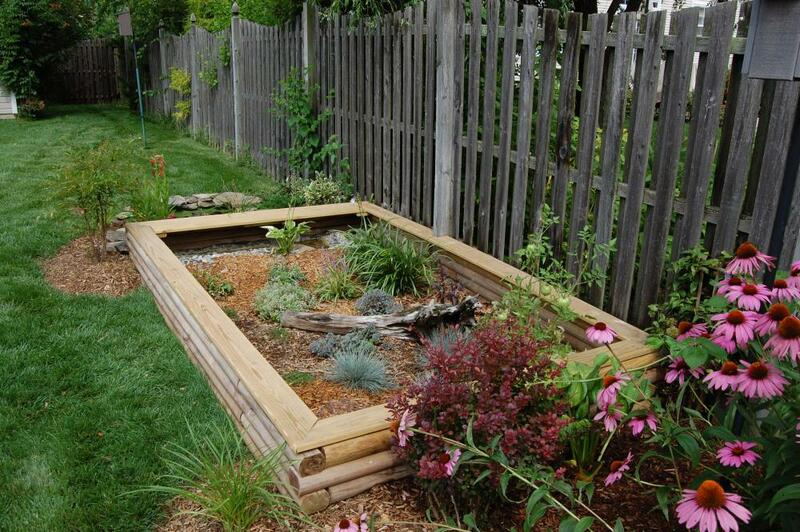 To produce an artificial pond, an area the size and depth that you want the finished pond to be must be dug out. A good pond should be a minimum of ten feet across anfrd at least two feet deep, with no rocks or other protruding objects left at the bottom of the hole. Once you have excavated a suitable hole, line it with a strong waterproof material, such as butyl rubber, that serves the same function as a swimming pool liner. This prevents leaks and keeps the pond water from draining away, and should be as thick as practical to prevent tears. The liner should overlap the edges of the pond by about a foot with the overlapping edge covered over by several inches of rocks and soil to hold it firmly in place. Next, fill the interior of the liner with four or five inches of clean sand, to push the liner flat against the bottom and to protect it from rocks, branches, turtle claws and other potential sources of puncture. Once the liner is firmly in place, add enough water to fill the pond. Shallow areas near the shore of an artificial pond can be planted with cattails, pickerel weed and other aquatic plants that provide cover for young turtles and attract insect life to the pond. The turtles can use a number of flat rocks scattered along the shore as entry and exit ramps and as basking spots. Another good idea is to place a large tree branch or trunk in the pond, so it forms a long basking platform that can be reached from either land or water. Most aquatic turtles prefer to bask on logs or branches that extend out into the water so they can dive to safety at the first hint of danger. If you live in an area of the country where winters are cool, it is best to stock your pond only with native species, or at least only species from temperate zones that normally hibernate in the winter. The turtles will bury themselves in the sand at the bottom of the pond or in the mud at the shores to hibernate through the winter. If you live in an area that is warm year-round, you will be able to maintain tropical species in your pond. Any nonnative species of turtle must be kept securely in your pond to prevent them from escaping and becoming established in the local ecosystem. The perimeter of the turtle pen can be made from wooden planks, bricks or stones. The wall must be at least several inches higher than the length of the longest turtle you will be keeping. If you make the wall just high enough that you can step over it, the turtles will be prevented from climbing out and you will be spared the necessity of making a door or gate for the pen. If you are keeping turtles that are good climbers, it is best to have an overhanging lip around the inside top of the wall to prevent escapes. Since tortoises are excellent diggers, you will need some provision to discourage your pets from tunneling their way to freedom. Sink all the walls of the pen a foot or so into the ground. Although the turtles may repeatedly attempt to dig their way underneath the fence, eventually they will tire and give up. If you intend to keep the turtles in their pen year-round, there must be enough dirt and leaf litter available for the turtles to get beneath the frost line so they can hibernate in winter. Excerpted from “The Turtle: An Owner’s Guide to a Happy Healthy Pet”. (c) copyright 1997 by Howell Book House. How cute are these handsewn turtles? Yes, I know they’re not real turtles, but couldn’t help link to their photo for any of you crafty turtle afficionados out there. You can get the tutorial and pattern at Craft Passion! Photo courtesy of Craft Passion. Comments Off on Photo Wednesday goes tutorial! Get the Complete Turtle Guide Book! * Is a Turtle the Right pet for you? You learn lots of information about caring for turtles and tortoises and all it takes is 30 minutes of your time. Go get more information on the Turtle Guide Book! Comments Off on Get the Complete Turtle Guide Book!